‘Free Wi-Fi’ appears inviting especially when you are running dry on your mobile network connection. You may find such free Wi-Fi hotspot zones at the airport, coffee shops, library as well as shopping malls. Why waste a good network when it available for free! Well, stop before you connect to any ‘Absolutely Free Wi-Fi Zone’. An open Wi-Fi zone is never safe and anyone can pry on your private browsing history easily. Even an amateur hacker can gather details of your login ID and password. So imagine what a seasoned hacker could do with your private information. 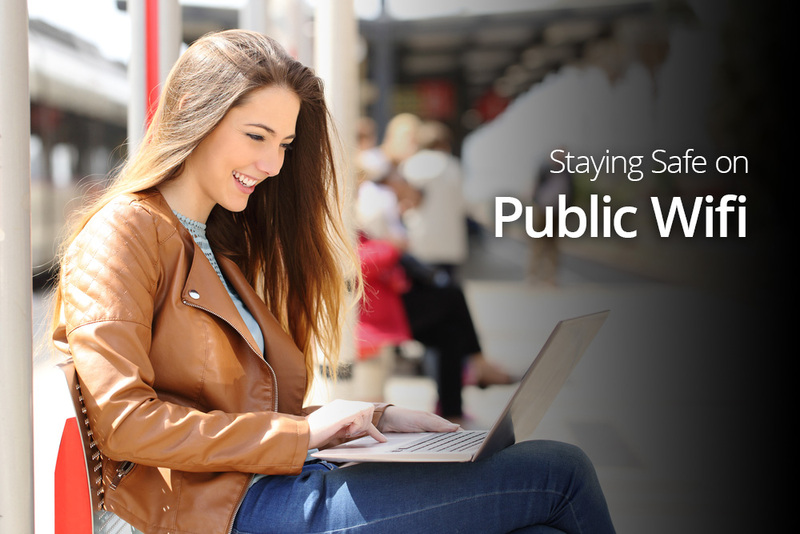 Some simple ways will help you know how to stay safe on public Wi-Fi. Let us have a look at these tips that will keep you safe on a free Wi-Fi zone. Security is a big issue when it comes to free Wi-Fi. It may be convenient to use a free Wi-Fi zone, but it is full of risk. If you are ready to take the risky plunge into a free Wi-Fi zone, let us gear you up with some tips to stay safe. You may find many free open networks around you at the airport or a shopping mall. Make sure to choose a network wisely. Before choosing any network, think if it sounds familiar or not. Many times, the names of the shops providing it are flashed as the network names. If you have any doubts ask the staff before signing on to any network. At the airport, it is better to use Wi-Fi networks provided by a coffee shop or retailers than using the network provided by the airport itself. There are many curious eyes trying to find an unsuspecting victim online to pounce upon. You may need to keep sharing on when using a secured network at home or office. However, on an open network, make sure it is turned off. Make sure no one can access your files, printers and even remote login from other computers on a public network. It is not necessary only a hacker may access your data, it can be anyone within the public network who can peep into your private world. You can turn off sharing in Windows by opening the Control Panel. Here go to Network and Internet  Network and Sharing Center  Change Advanced Sharing Settings. Turn off file and printer sharing as well as network discovery and Public folder sharing. Windows usually turn off most of it automatically when you choose an open network. However, it is wise to check the settings once yourself to avoid any mishaps later. OS X users need to go to System Preferences  Sharing. Make sure all the boxes are unchecked and turn off network discovery. In OS X, you will find it as a ‘stealth mode’ under the firewall’s advanced settings. The green lock icon next to the website address in the browser address bar may appear cute but is very important. Regular websites exchange a lot of plain text over a wireless network. Those with the skills to intercept them can easily find the cream from the crowd. This may not be worrisome when you are just browsing through some recipes or reading an article on the stock market. It becomes a concern when you log in to your email account or a social media account like Facebook. Thus, it is necessary to use HTTPS websites or enable SSL that helps in encrypting data transferred between the computer and the web server. Many big players such as Gmail, Yahoo Mail, Facebook, etc. automatically secure the address bar with the ‘s’ in the ‘https’. However, if you find the ‘s’ disappear from your browser, just log out immediately. Never ever, carry out secured transactions on a public Wi-Fi. This includes bank transactions, sharing important office files, or providing your credit card details for online shopping. Wait until you reach a secured network such as your home Wi-Fi or office network. You can try using VPN or Virtual Private Network that helps you route all your Internet activity using a separate secure, private network. Thus, you get the privacy of a secured network even when using a public network. Browse cautiously when using a free Wi-Fi zone. Do not carry out important financial transactions or send sensitive data over public Wi-Fi. Log out of any account such as Facebook, Gmail, etc. once you are done browsing. Forget the network after you leave the zone on your computer. Stay smart and this will reduce your risk of becoming a pawn in the hands of seasoned hackers. These are some tips on how to stay safe on public Wi-Fi. Keep them in mind and browse safely the next time you use a free Internet zone.